We NEED suggestions…for upcoming tasks!!!! Our tasks-in case you did not know were the drinking 8-8oz of water a day and working towards the Presidential Fitness Award. The time has come for new ones. This week we are doing the honey, apple cider vinegar and water cleanse, which we think you will enjoy hearing about. We want this to be an entertaining and interesting blog, so suggest away! We really will do anything you suggest (I mean, as long as it isn’t too coo-coo and actually makes us healthier in some way). Plus you will get some free swag for your suggestions. 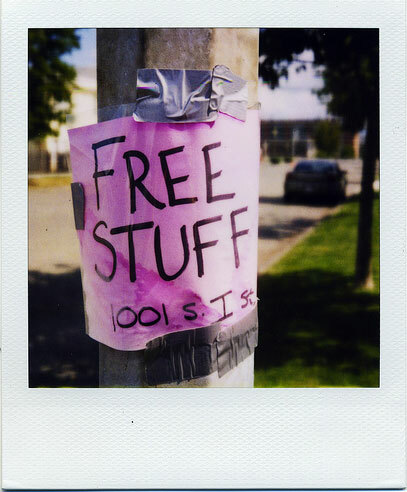 Everyone loves free things!!!! So far Colleen is in the lead with her suggestion to wear 80’s clothes to the gym and take pictures! Spinfest down, more events to come!!!! Shmelly and I participated in our first of many charity events for our chosen charities today. 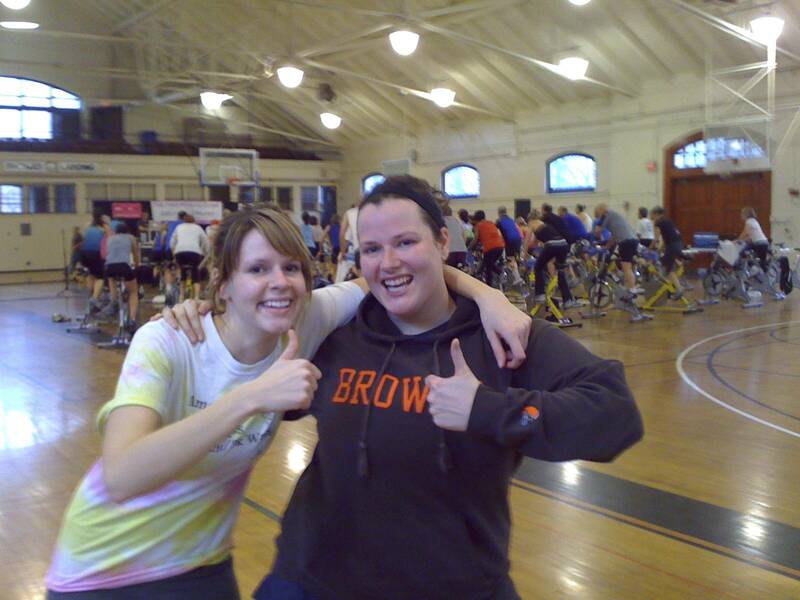 Spinfest 2010 was indeed a fest with both Shmelly and myself sweating it away for her chosen charity The Cleveland Free Clinic. Stay tuned and keep checking the blog for more event details! Check out our model shot (or should I say hagard shot) from today’s event. Even though this Red Cross is not in DC and is in Cleveland-it still needs your help! The Cleveland Red Cross is having a Blood Drive at St. Anns Church this Sunday from 8:45 AM-1:00 PM. Donate if you can because there are a lot of people who are in need of blood right now. We apologize for spelling Triathlon wrong. We will be fixing all of our mistakes. Once again we apologize for the inconvenience. Thank you for your patience. Brenna (“Shtinky”) and I (“Shmelly”) have struggled a great deal in creating this blog, but we are hoping-fingers crossed* that we will have this blog up and running come Friday January 8th 2010. We will start our training/experiments on Monday January 11th. For our first task will be drinking eight glasses of water a day from Monday until Friday. Although this does not seem like a daunting task, I think it will actually be pretty hard to follow. -Our site is under construction as to date and official training and blogging will commence as of next week. Happy New Year! triathlon10 on So it is June 9th??? Janet on So it is June 9th?? ?